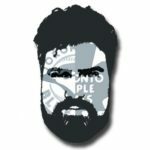 Heroes & Hosers is a brand new hockey podcast that covers the latest news and exciting developments from the National Hockey League. Featuring hosts Eric Dinklemann (@MaximusNhl) and Ari Shapiro (@ari_shapiro), tune in for your daily dose of NHL insights, observations, and self-deprecating humour to remind you of the existential nature of the greatest game on earth. On this inaugural episode: John Stevens as the first coaching casualty of the season, the fabulous Vancouver Canucks and their astonishing rise to legitimacy, Ottawa Senators players throwing their coaching staff under a bus in an uber cab, and Brian Boyle’s inspirational hat trick on Hockey Fights Cancer night across the league.